Lord Voldemort: I must be the one to kill Harry Potter. In a game such as Chess, the player progresses through by strategically moving their pieces into specific locations, one by one, hoping to reach a particular attack point. Once all of the pieces are set, a series of actions could take place leading to the end of the game. For this chapter in the Harry Potter saga, all of the pieces are being setup and moved into their appropriate locations. This film is based on the final novel in the series. As the novel is quite large, the only way to seemingly make this into a satisfying ending for the film series was to divide it into two parts. As a result, we get a film that is very well made, loaded with talented actors, and certainly looks the part of a matured Harry Potter film reaching its endpoint. Still, this film is all about setting itself up for the checkmate that will come in July, 2011. Picking up where the last film, The Half-Blood Prince, left off, Dumbledore is dead, and the world is in danger. Voldemort's power is growing stronger. He now has control over the Ministry of Magic and Hogwarts. 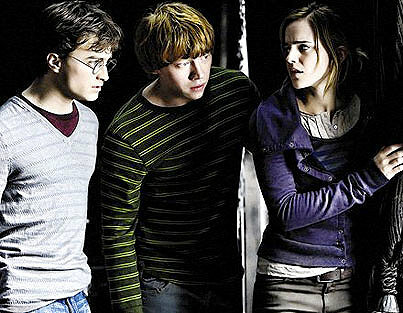 Harry, Ron, and Hermione decide to finish Dumbledore's work and find the rest of the Horcruxes to defeat the Dark Lord. But little hope remains for the Trio and the rest of the Wizarding world, as danger is lurking around every corner, so everything they do must go as planned. However, complications arise as former friends are caught in the cross-fire, alliances are tested, new pieces of the puzzle emerge, and all of the evil adults are playing for keeps. Our young heroes may have matured into young adults who can deal out some magic when they need to, but they certainly have their work cut out for them. 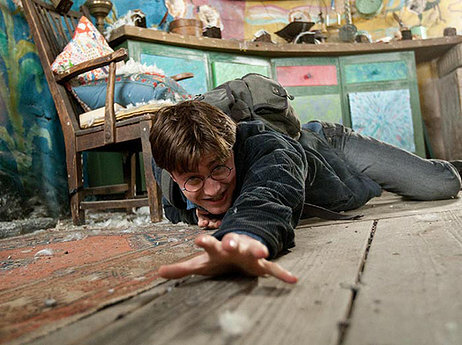 Harry Potter: The longer we stay here, the stronger he gets. Since I am writing about Harry Potter to a wider audience, I feel it is probably necessary to explain where I stand on this series. I have not read the books, but have seen every film. The first two films were fine enough to introduce the characters, but the third and still my favorite of the series, The Prisoner of Azkaban, is where things really kicked into gear. 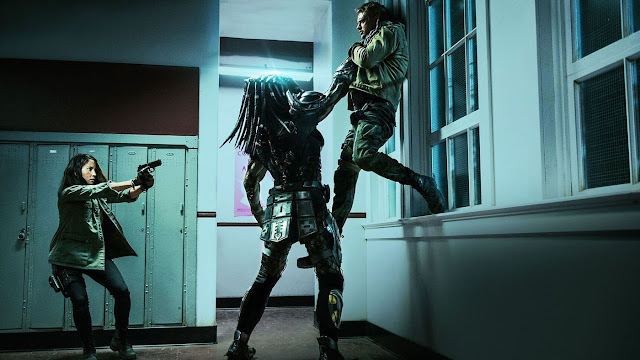 Since that point, the films have dabbled in becoming darker as the young leads grew older and have been thrown into more life threatening situations by upping the stakes. I have appreciated what these films have had to offer, and I am very much excited about seeing how this series concludes (Basically, I don’t want anyone to spoil what happens next). Ron Weasley: We wouldn't last two days without her... Don't tell her I said that. So, the film; it is quite good and accomplishes what it needs to. First, I want to applaud Warner Brothers for making the last minute decision to not convert this film to 3D. There is a much darker mood present throughout this film, and the added dimension would have only lessened the impact of the visuals present. I know Part 2 is still supposed to be in 3D, so I can only hope that other audiences (because I am not going to be suckered into that) can witness a film that had enough time to not look sub-par. That being said, the visual component to this film was great. I’m not saying that a dark and brooding Potter film is what I was asking for from the start, but for this story, at this point in the series, I was happy to see that tone embraced wholeheartedly. 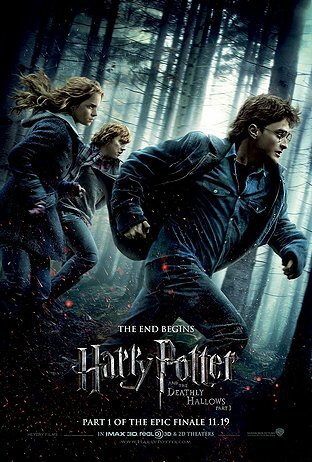 Director David Yates, who has directed the previous two films and will have directed the last, does a fine job, making this his most ambitious outing for the series yet. 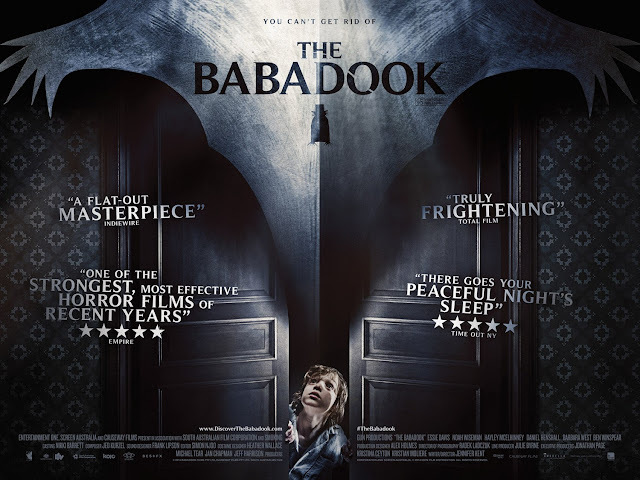 It is not as much of an improvement as director Alfonso Cuaron’s Azkaban over Chris Columbus’ first two entries was, but this is still a well made film. 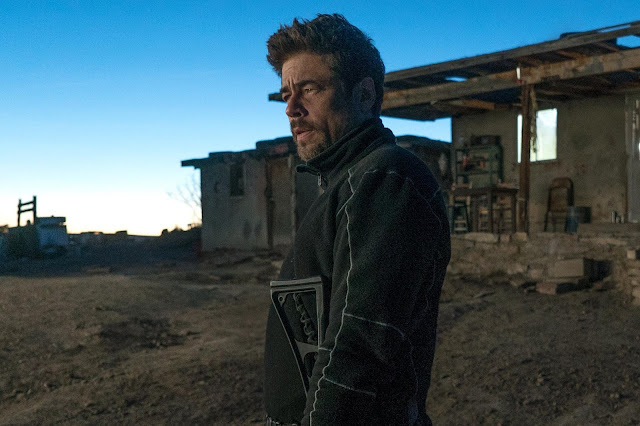 The beautiful photography by Eduardo Serra, both in capturing wide landscape settings and the more ominous set pieces, along with the very good special effects work and art direction all benefited this film greatly. 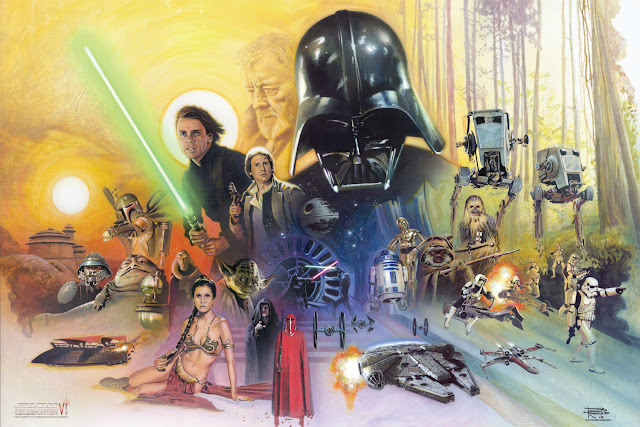 And finally, regarding this film’s production values, Alexandre Desplat has been the first composer, since the departure of John Williams, to really… capture the magic… of the series in musical form, together in the broad scope, the more dangerous points, and in its more whimsical moments. The casting in these films continues to be fantastic. Using nearly all of England’s character actors, this film is loaded with talent who are all a delight to watch. And yes, I am going to name almost every damn one of them; Helena Bonham Carter, Robbie Coltrane, Ralph Fiennes, Michael Gambon, Brendan Gleeson, Richard Griffiths, John Hurt, Rhys Ifans, Jason Isaacs, Bill Nighy, Alan Rickman, Fiona Shaw, Timothy Spall, Imelda Staunton, David Thewlis, Warwick Davis, Toby Jones, Peter Mullan and Julie Walters all provide what is needed in roles that are neither large or small but appropriate for the film. This goes back to what I was saying about the film setting up its pieces, but seeing many in this group working together is a rare occurrence that is always enjoyable to watch. Bellatrix Lestrange: How dare you defy your master! Dobby: Dobby has no master. With that being said, the MVPs of this series are still Daniel Radcliffe, Emma Watson, and Rupert Grint, who have grown up as these characters and continue to show fine development as actors. These three work well together and independently, as their chemistry is solid, the inner turmoil they face is well handled, and they are all likable people you would want to get behind in the face of a threat of world takeover by the evil, lizard version of Ralph Fiennes. Each of these actors are required to ground the characters they portray in reality, as the film pushes them through various magical grounds, and they have all been up to the task. Now with all that is good about how well this film was made on a technical level and how much of a crush I seem to have on the casting director, this is still a film that fits into a much larger puzzle board (I seem to be big on game metaphors tonight). It still opens in the middle of a story and ends on a cliffhanger, providing lots of exposition in between. While this is handled well enough, I can’t help but think that some of the “Harry, Ron, and Hermoine are camping…again” scenes, spread out throughout the middle of the film, could have been handled a little tighter and a little less on the nose with its dialogue. 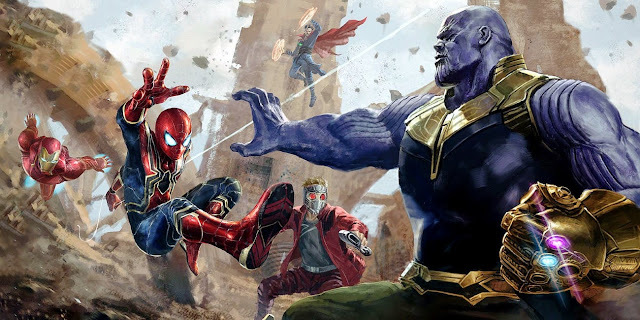 I understand that these final two films are being slavishly faithful to the books, but seeing more into the evil doers’ sides of things could have balanced this film out a little better. Regardless, for every piece of back-story and further character deepening for our leads, we get a lot of really cool suspense/action-related magic scenes, which are a lot of fun to watch. In addition, there is a sequence late in the film, which delves into the meaning of “The Deathly Hallows” that was really well done. It is also helpful that the film still knows how to have fun. The stakes may be high, but the banter between our leads and the fun with magic in general still provides for plenty of enjoyment amidst the times where our emotional investment into some of these characters is paid off. Seeing this movie is obviously a no-brainer to the Potter fans that have been following this story thus far. For newbies looking to check out their first Potter film or returning after an absence, I can recommend this film based on how great it is to look at and for its enjoyable nature, but expect to be crammed with information you have little to no connection with. I was happy to see where this series has gone and cannot wait to see how it ends. Based on this film’s setup, if all of the pieces fall into place, expect me to yell, “Jenga,” at the end of Part 2. Harry Potter: I thought you knew what you had signed up for? Ron Weasley: Yeah, I thought so too.